Assistant General Manager/ Chief Manager (SSG): Applicants who have completed B.E./ B.Tech.degree in Electronics & CommunicationEngineering with minimum 55% marks from a recognized Institute/ University with a good academic record or equivalent from a recognized Institute for CEL Recruitment 2018. Chief Manager(QA-C): Applicants who have completed B.E/B.Tech degree in Electronics Engineering with minimum 55% marks from a recognized institute / University. He/she should have a minimum 14 Years post qualification experience in Quality Control or equivalent from a recognized Institute for CEL Recruitment 2018. Senior Technical Manager (Production) Manufacturing: Applicants who have completed B.E./B.Tech. (Electronics/ Production Engg/ Mechanical degree from a recognized Institute/ University with a good academic record. MBA Degree in production management is desirable. He/she should have 12 years post qualification work experience in relevant discipline or equivalent from a recognized Institute for CEL Recruitment 2018. Project Manager (Project Execution/O&M): Applicants who have completed B.E./ B.Tech.degree with minimum 55% marks in Mechanical/ Electrical Engineering. He should have minimum 09 years of post qualification experience in implementing projects, out of which minimum of 06 years experience in project execution and management or equivalent from a recognized Institute for CEL Recruitment 2018. Technical Manager (R&D): Applicants who have completed B.E/ B.Tech.degree in Electronics/ Electronics &Communication/ Electronics & Telecommunication Engg. with minimum 55%marks from a recognized Institute /University. He/ She should have minimum 09 years of post qualification experience in relevant discipline or equivalent from a recognized Institute for CEL Recruitment 2018. Manager – material management: Applicants who have completed B.E./ B.Tech.degree with minimum 55% marks or equivalent from a recognized Institute for CEL Recruitment 2018. Assistant Manager (Civil): Applicants who have completed B.E/B.Tech degree with minimum 55% marks in civil engineering from a recognized Institute/University. He/ She should have minimum 06years of post qualification experience in execution of civil works or equivalent from a recognized Institute for CEL Recruitment 2018. Accounts Officer: Applicants who have completed graduate in commerce and passed final examination of CA/ICWA with 02 years post qualification experience in preparation of MIS, periodical profit & loss accounts and balance sheet, interaction with statutory auditors of CAG and other Govt. agencies. Working experience in ERP System is essential or equivalent from a recognized Institute for CEL Recruitment 2018. Security Officer: Applicants who have completed Graduate in any discipline. Deputy Engineer (R&D): Applicants who have completed B.E/ B.Tech.degree in Electronics/ Electronics & Communication/ Electronics & Telecommunication Engg. with minimum 55%marks from a recognized Institute /University or equivalent from a recognized Institute for CEL Recruitment 2018. Sr. Manager – New Product Development: Applicants who have completed B.E./ B.Tech.Degree in Electrical / Electronics and communication / Mechanical Engineering. He/ She should have minimum 12 years of post qualification experience in relevant discipline or equivalent from a recognized Institute for CEL Recruitment 2018. Manager (Defence Marketing): Applicants who have completed B.E./B.Tech degree in Electronics/ Electrical/ MechanicalEngineering with minimum 55% marks.He/she should have minimum 09 years of post qualification experience in Indian Defense Forces or equivalent from a recognized Institute for CEL Recruitment 2018. Marketing Manager (Contract basis): Applicants who have completed B.E/B.Tech degree in Electrical/ Electronics/Instrumentation/ PV Technology Engineering with minimum 55% marks and 02 years full-time MBA in Marketing from a recognized Institute / University or equivalent from a recognized Institute for CEL Recruitment 2018. Assistant Technical Manager (P): Applicants who have completed B.E./ B.Tech.Degree in Electronics/ Electrical/ MechanicalEngineering with minimum 55% marks from a recognized university. He/ she should have 06years post qualification experience out of which 04 years experience in Production or equivalent from a recognized Institute for CEL Recruitment 2018. Officer – Material Management (Contract basis): Applicants who have completed B.E / B.Tech.degree with minimum 55% marks or equivalent from a recognized Institute for CEL Recruitment 2018. Officer (HR): Applicants who have completed Graduate with minimum 55% marks along with MBA / PGP / PGDM in Personnel Management/ Human Resource Management or equivalent qualification. He/she should have minimum 02 years of post qualification experience in HR / IR functions or equivalent from a recognized Institute for CEL Recruitment 2018. Marketing Officer: Applicants who have completed Engineering graduate with minimum 55% marks or equivalent CGPA or equivalent from a recognized Institute for CEL Recruitment 2018. Eligible & Interested candidates can apply via online in Official website page at www.celindia.co.in CEL Recruitment 2018. Complete the CEL Jobs Application Form with the essential data. 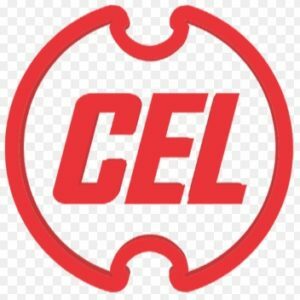 Take a print out of CEL Recruitment 2018 online application form.